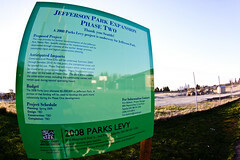 6:30pm Tonight at the Jefferson Community Center: Park enhancement and expansion with discussion of Beacon Mountain, the Park service road and promenade, improvements to Jefferson Playfield, and the Jefferson skatepark and basketball court. 5:30pm Wednesday (tomorrow) at the Beacon Hill Library: SDOT community open house regarding the planned changes for Columbian Way between Beacon Avenue South and 15th Avenue South. 6:30pm Thursday at the Beacon Hill Library Community Room: North Beacon Hill Council potluck and December meeting. 10:00am Saturday next to the Beacon Hill light rail station on Lander Street: Festival Street ribbon cutting ceremony — free doughnuts and politicians! 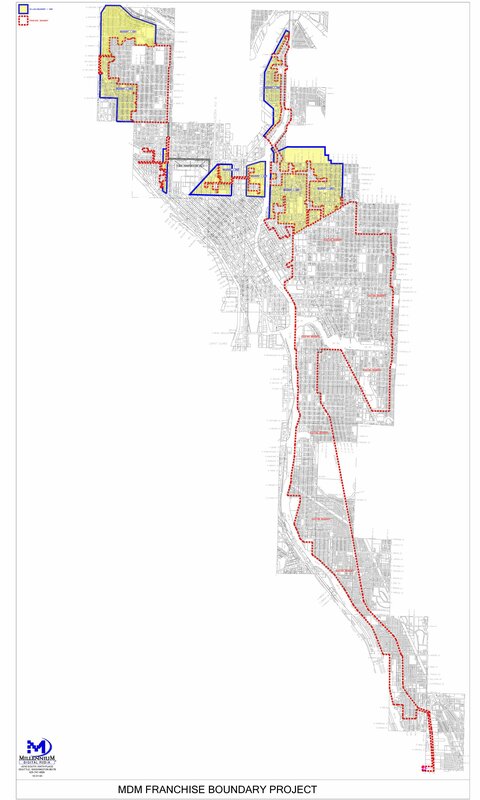 7:00pm next Wednesday (the 9th) at the Jefferson Community Center: Follow-up meeting with Seattle City Light regarding the new power lines going up the west side of the hill and the new higher poles running along South Stevens Street. Seattle City Light Superintendent Jorge Carrasco is expected to present remediation options to the nearby affected neighbors. Check the event calendar for more. 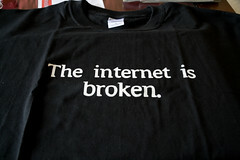 T-shirt slogan that many Beaconians can identify with. Photo by Will Glynn. After comparing notes with some of my neighbors about their internet service, I thought I should ask once again for some relief from the dismal internet service we have on Beacon Hill. I have written to council members before on this topic and I have uniformly gotten referred to some bureaucrat by whichever elected council member I wrote to. Each time the bureaucrat was very nice, asked a couple of questions, and described the service we have, and refreshed the picture of whatever stage the City was in at the moment in negotiations with the monopoly providers of cable. And then they would sum it up by telling me that we have great internet service. If this is going to be another replay of that merry-go-round, just delete this message. If you actually give a damn about the ability of this city to incubate new small business in the south end, then please read on and reply. The first thing you have to take seriously is that there is a problem. The second is that it won’t be solved without adding new competitive service provider(s) to Beacon Hill. By competitive, I mean services with higher real delivered, as opposed to advertised, upload speeds than Comcast and Broadstripe offer to their business class customers now, and with much better net neutrality in bandwidth management practices.